Use something that's not built-in? 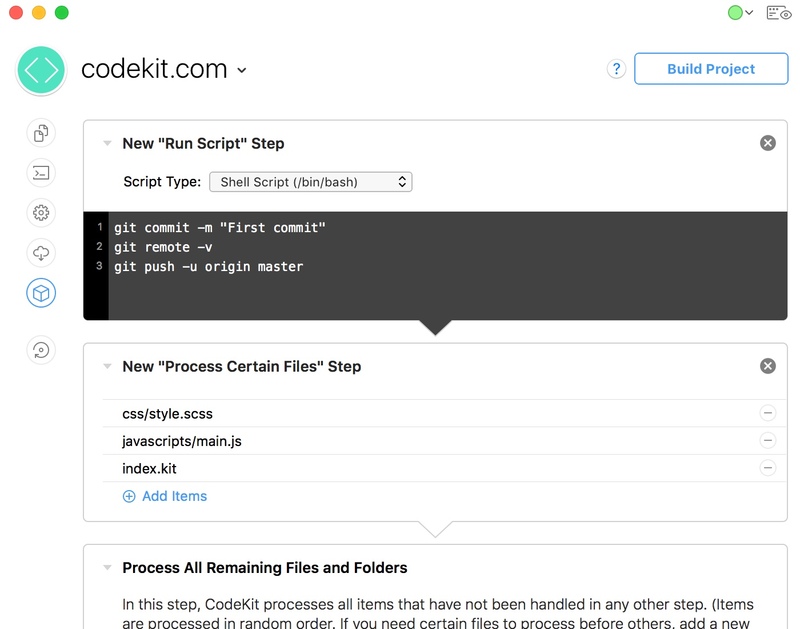 Easily tell CodeKit how to process files of any type, right in the UI. No stupid config files or plugins required. 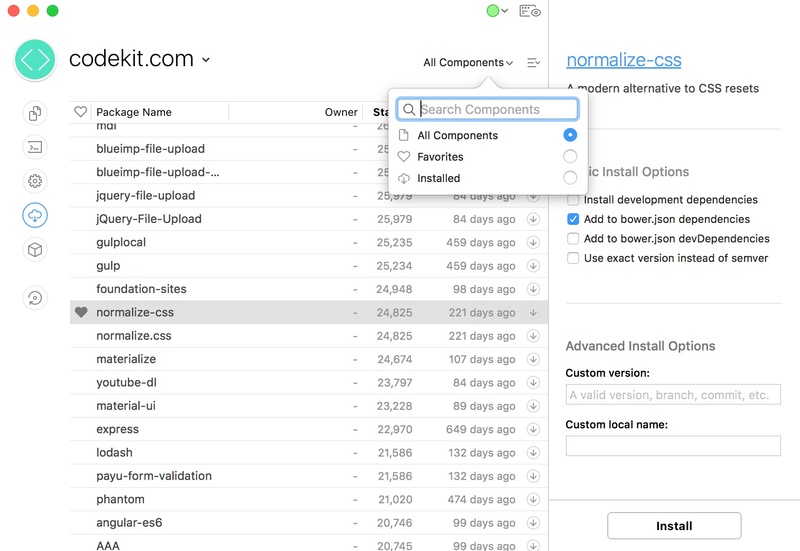 CodeKit automatically refreshes browsers as you work. Like magic. Mac, iOS, Android, Windows, Tesla, kitchen fridge... if it's got a modern browser, it refreshes. All major browser vendors are supported, even over SSL. Type some text in a form and it magically appears on all your other devices, too. Click a link, it's clicked on every device. Fast cross-device testing. No plugins, no script tags, no work. 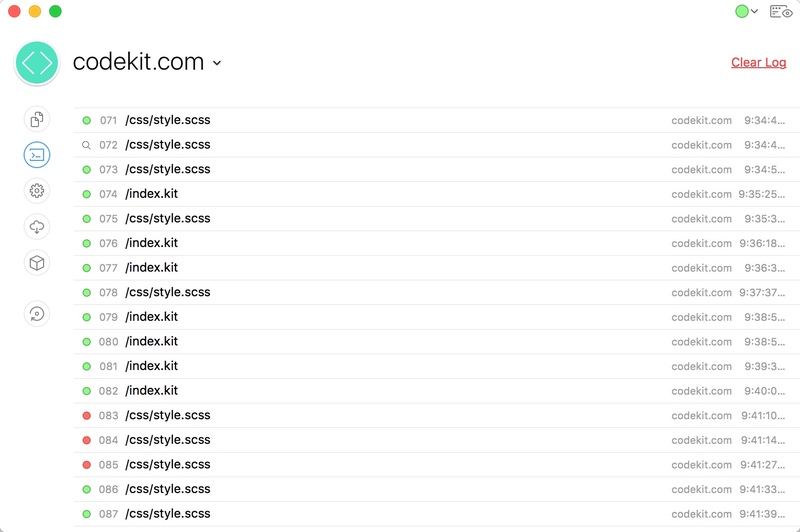 Just click the Preview button in CodeKit and you're done. You don't even need certificates for SSL. Really. CSS changes are injected without reloading the entire page, so you can easily style dialogs and modal content, or just A/B test designs. Ain't nobody got time for slow, bloated websites. 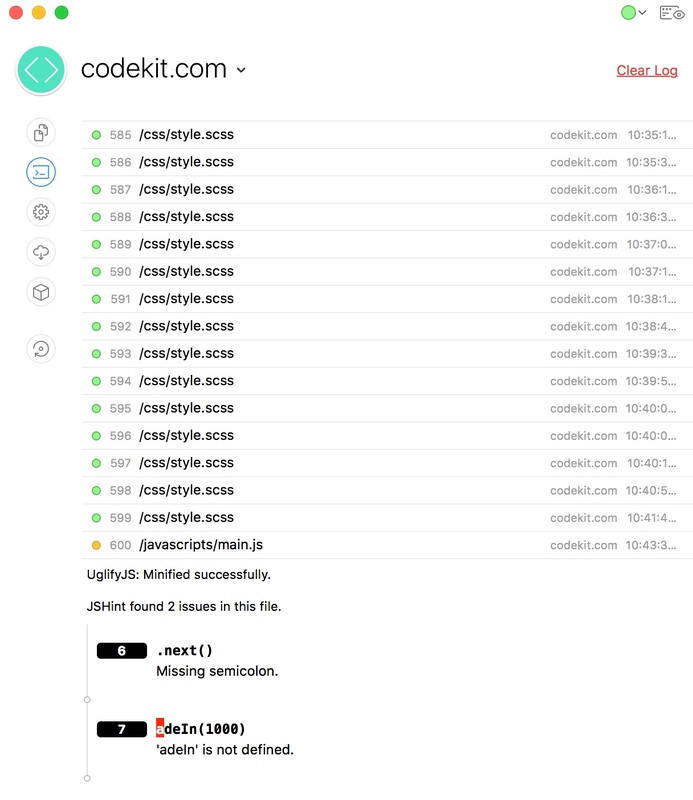 CodeKit makes them faster. 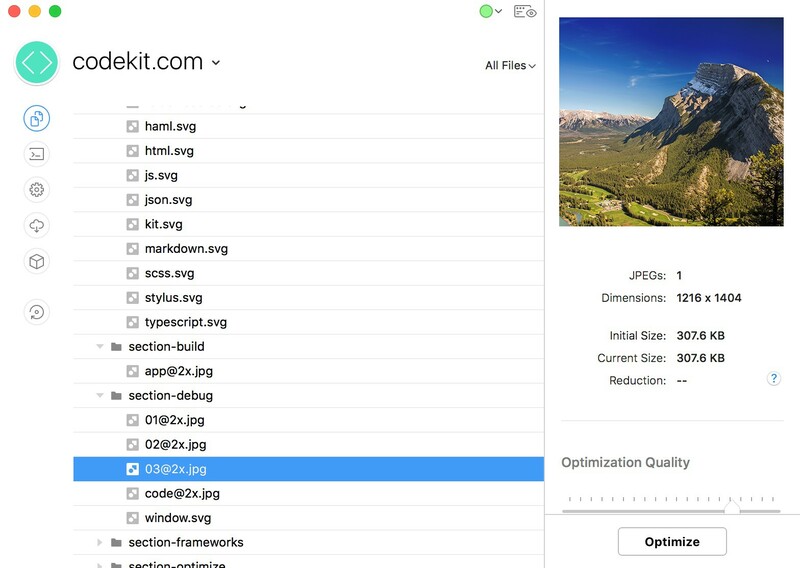 Get 70% smaller PNG and JPEG files in one click. SVGs and GIFs, too. Smaller images mean faster websites. Combine scripts to reduce HTTP requests. 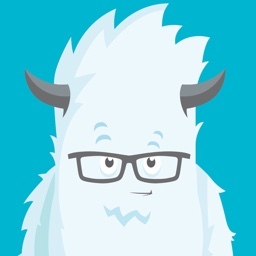 Minify your code to reduce file sizes. All the best practices with full control over the details. Automatically cache-bust scripts and stylesheets so your changes take effect immediately when you deploy. Minify your code, but see the original version in the browser's inspector. Works automatically with most languages and without headaches. You know how frameworks have those complex “getting started” steps? How about we just do a single click instead? 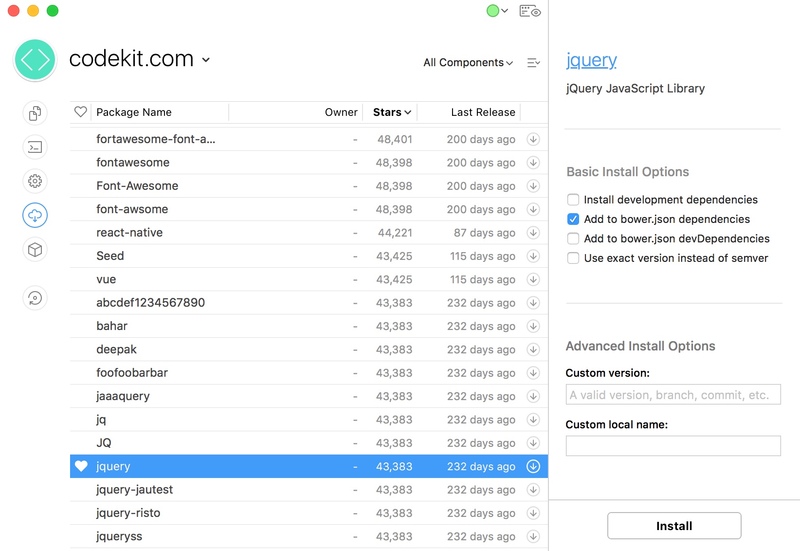 Bower is built into CodeKit so you can install and update 56,000+ components with ease. 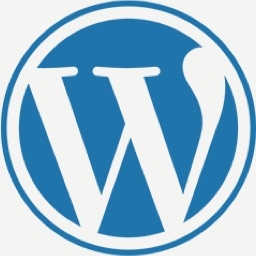 jQuery to WordPress and everything in between. Spin up a Foundation or a Google Web Starter Kit project in seconds. 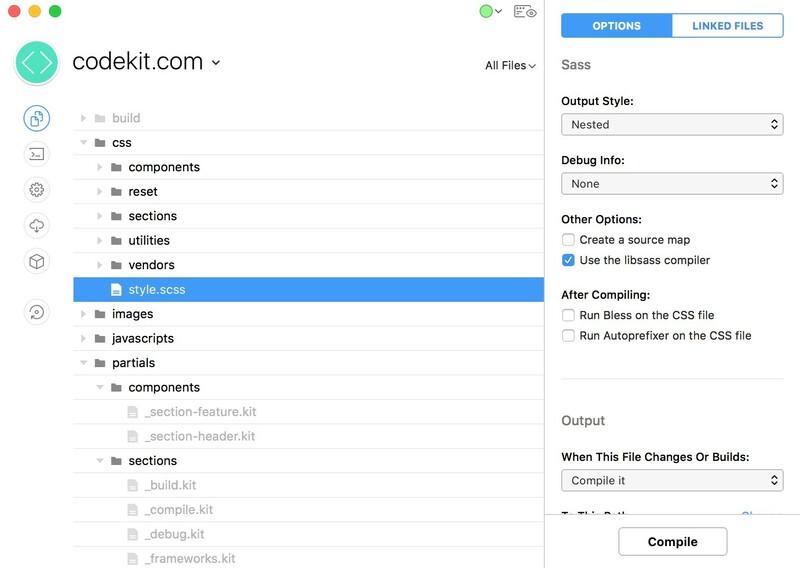 CodeKit downloads the latest version and sets it up for you, automatically. All the best CSS frameworks are built-in: Bourbon, Neat, Bitters, Susy, Nib, Jeet, and Compass. 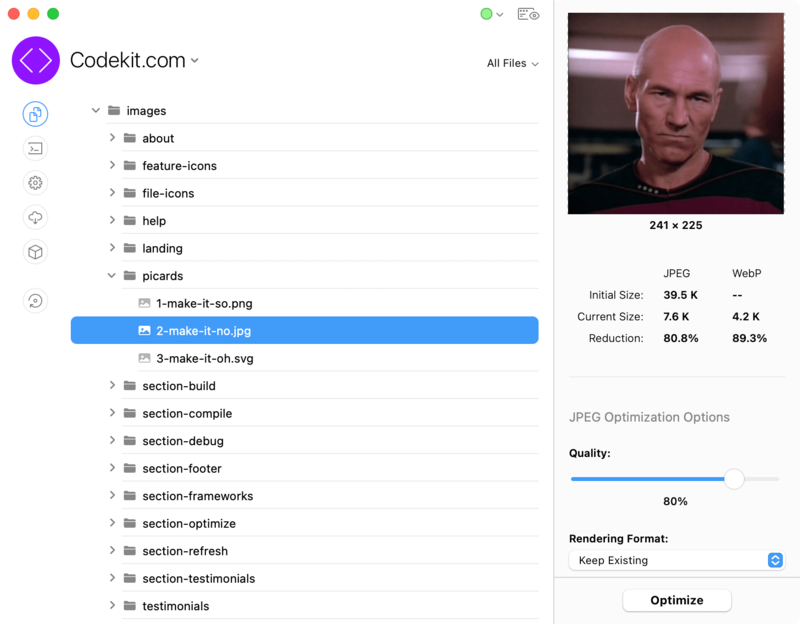 Just add an @import statement to your stylesheet and CodeKit makes it work. Reuse code in multiple projects but keep a single copy of it on your disk. When you update it, everything recompiles to capture the changes. 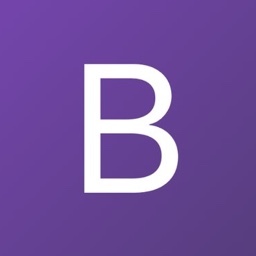 Build your entire project with one click. Fine-tune the process in an intuitive, beautiful UI. Check one box and existing projects just work. No updating hundreds of output paths, no changing URLs on pages. It's magic. Your Mac's processor has lots of cores. 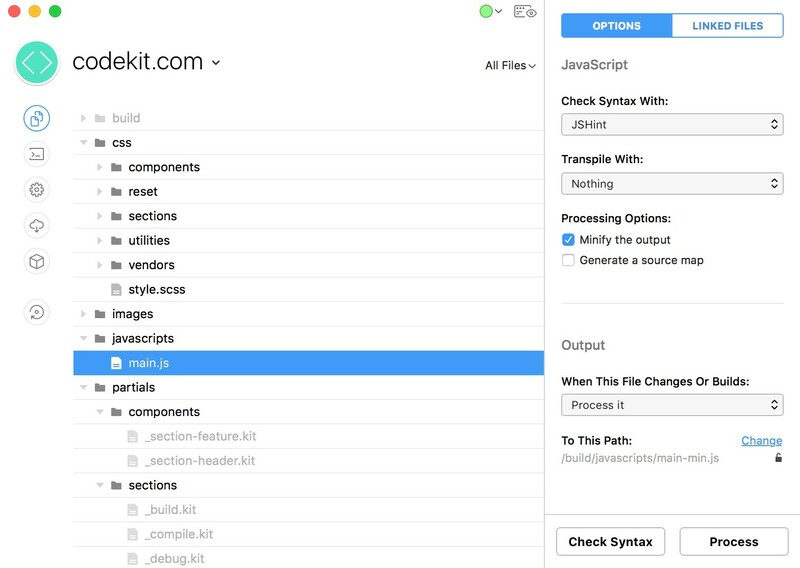 CodeKit uses all of them to process files in parallel so that builds finish fast. Do literally anything. Run a custom shell script and see its output in the UI. Or use AppleScript to tell Transmit to upload your site when the build is done. Easily customize your build process. Add steps with one click. Drag them to reorder. Setting this stuff up shouldn't require trips to Stack Overflow. Missing that one freaking comma somewhere? 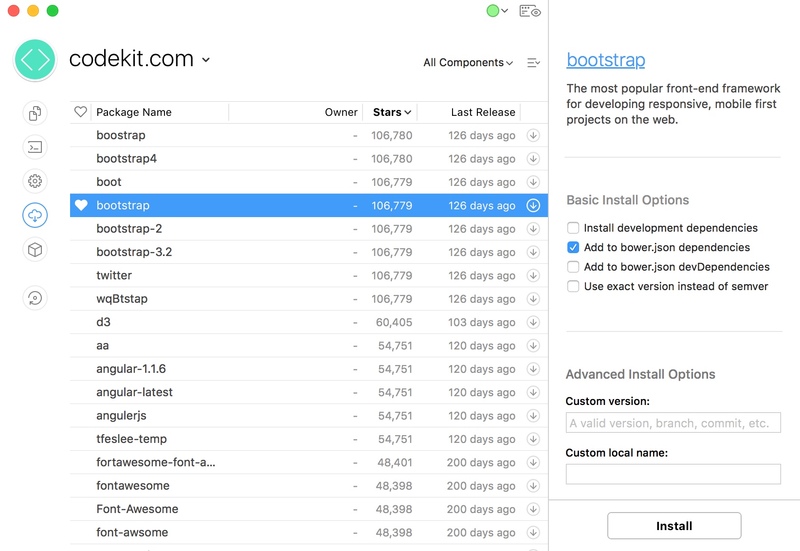 Find the problem fast with built-in debugging tools. Not ready to move to ESLint? No problem. JSHint and JSLint are built-in, too. See the exact line and column number of every issue. Got that one guy who uses tabs instead of spaces? Make him fall in line and easily set up rules to keep the whole team writing clean, readable code. 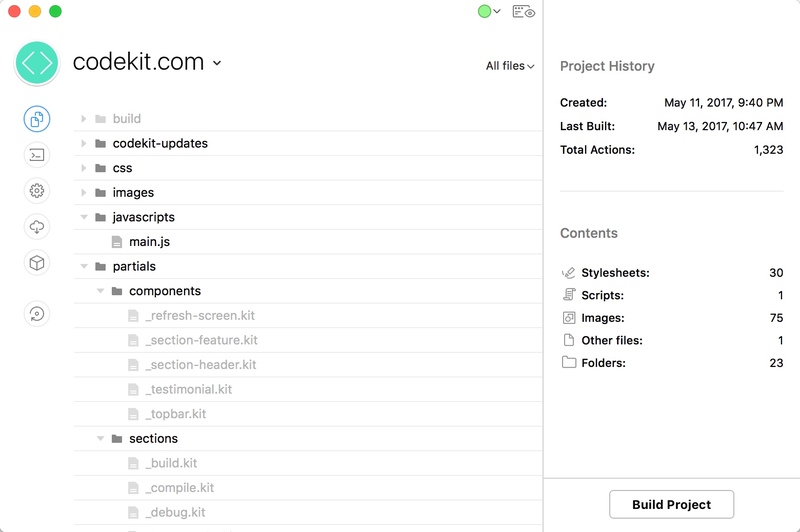 Our Mac updates are now scheduled around major CodeKit releases. This app is that good. 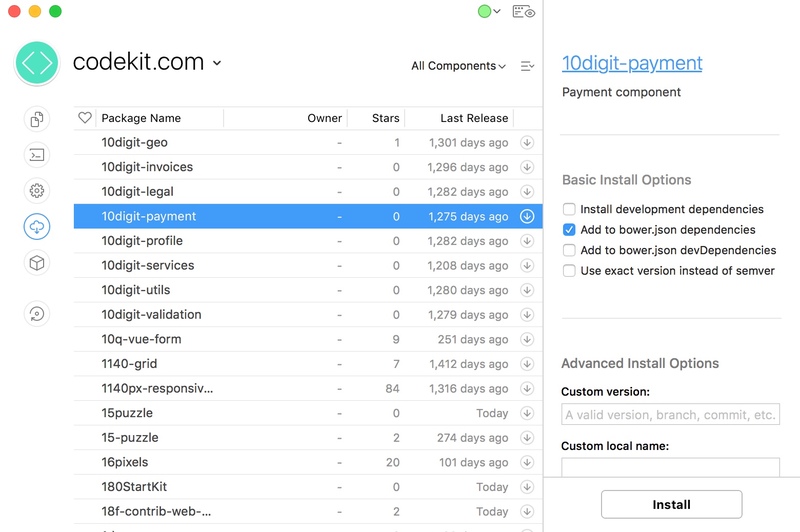 CodeKit 3 is the most deliberate evolution of our founding design. Each button's 9-step anodization process brings absolute unity and efficiency to a singular vision. This is truly a product that only Apple could create. Please stop quoting my employees. I'm still ignoring you on Twitter. Do you have any idea how many lawyers $260 billion hires? All of them. All of the lawyers. 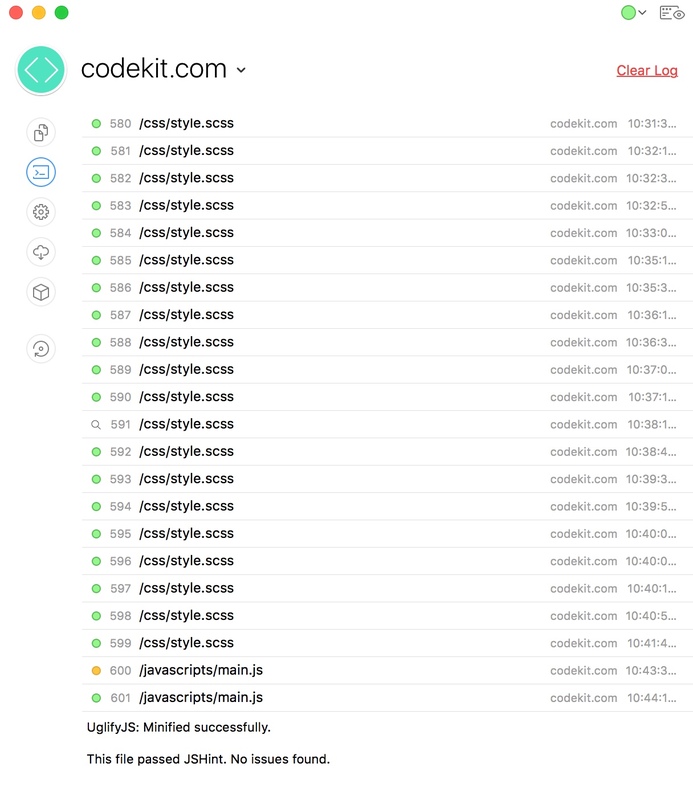 When our engineers switched to CodeKit, our phones just started blowing up...with compliments. I found six cold kids nearby. Tap the one you want. Your app is lame, your face is lame, your friends are lame, and your continued existence deeply offends us. 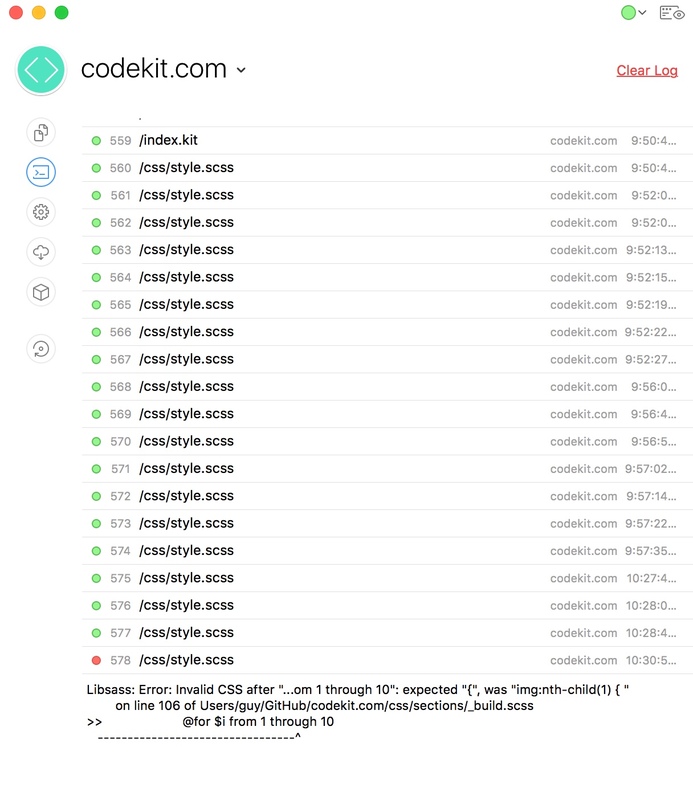 Your trademark for "CodeKit" has been rejected because it is too broad. Every app is a kit of code. Come on, baby. I've changed! I'd never hurt you, I swear! Just give me a chance. And 30%. Seriously, which one of these do you want? They're getting away. 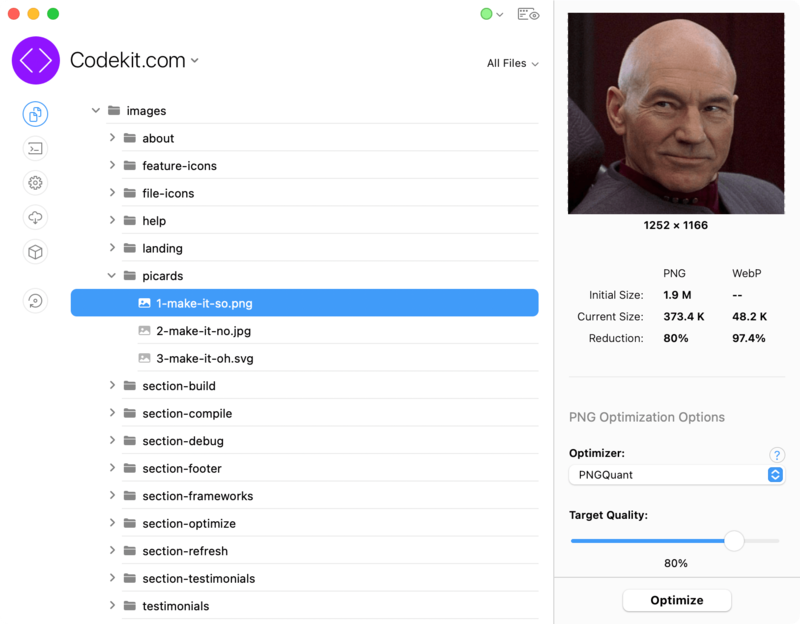 CodeKit: it's at least 183x better than iTunes.